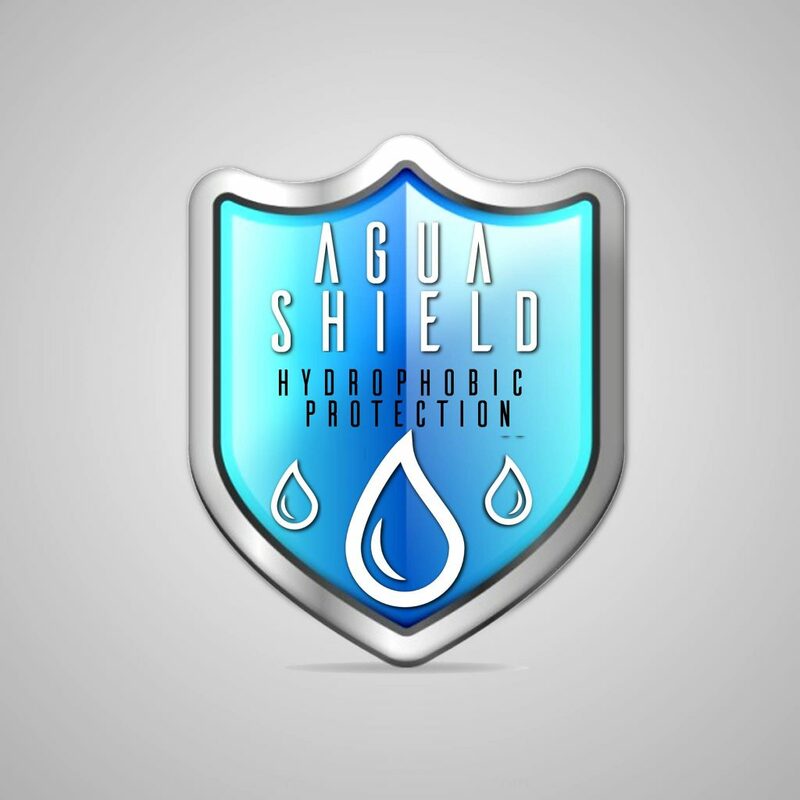 Agua-shield® Facade Coating is a unique treatment technology, it creates self-cleaning and super hydrophobic facades without affecting its breathability. Coatings incorporating silane resin technology have been available for over 25 years and are actually the fastest growing exterior coating systems in Europe. All this expertise has been combined with the latest technology and the result is impressive! Your coated masonry will be protected against the destructive impact of adverse weather conditions including sun, acid rain, salt spray, smog etc & will be weather protected and colour stable for many years. You will recognise the excellent water repellent properties by its beading behaviour. It will make the masonry dry and extremely resistant to biological hazards, mould, mildew etc. A dry masonry will improve the thermal resistance, prevent frost damage and reduce the growth of microbial spores. The masonry is able to breathe and will be permeable to water vapour. Air and moisture pass through from one side to the other. A breathing masonry will improve the thermal conductivity and insulation properties. Just a 5% content of damp in cavity wall insulation or other building materials can lower the thermal resistance by up to 50%. Dirt particles are unable to obtain a hold on the Agua-shield® coated facade and will simply flow off with rainfall. The façade remains clean and attractive, even on sides which are particularly exposed to the weather like on the north-facing side or facades in shade, as well as in areas with high air humidity or sea salt penetrated air.